The road stripes are blurred in front of you when you take a spot in the driver’s seat in this Lamborghini. The Lamborghini Murciélago LP 640 is arguably the best of the best at the moment. The powerful V12, 6.5L engine is a monster producing 640 horsepower. It is brutal and intimidating and is a supercar fan’s dream ride. Enthusiasts around the world who are lucky to have the pleasure of driving one of these beauties are experiencing a true driver focused, thrilling experience. It is a must drive for Lamborghini fans. The Lamborghini Murciélago LP460 has sheer presence on the road and is an impressively powerful blend of pure sportiness and functionality. It reaches top speeds of 340km per hour and gets you from 0-100km in only 3.4seconds. 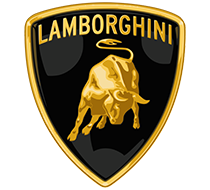 The Italian luxury and super sports car maker has created yet another legendary vehicle to the delight of Lamborghini fans.